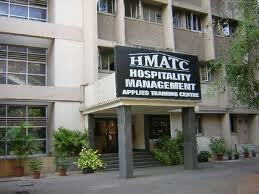 Admission:- Admission through CET Score Conducted by the Institute & Personal Interview. Admission:- Admission based on Personal Interview. Successful completion of S.S.C. (10th class of 10+2 pattern) or equivalent qualification with English as one of the subject in the Final of the School Examinations. Age : Maximum up to 22 years as on 1st June of each year, relaxable up to 3 years in the case of SC/ST candidates. Selection: Based on marks obtained at the qualifying examinations as well as personal interview. Reservation : Seats reserved for SC/ST candidates as per Government of India norms. Admission:- dmission based on Personal Interview. • Bakery facilities for each year of hotel management course as well as the food production course. • Training restaurant is provided for practicing food and beverage skills. • Housekeeping laboratory is offered with all laundry equipments. • Front office laboratory includes a mock front desk and bell desk which help students to replicate front office atmosphere. • Lobby is enabled with internet facility round the clock. • Library with all the latest updated books related to hotel management are provided. • Three time food facility is offered in a day to all the students, this food is made by second year students in groups. This benefits the students to have various varieties everyday. This preparing of food helps the students to improve their practical knowledge. • Locker rooms facility is provided to each and every student of Mumbai. • Along with the top class hotel management studies students are also provided with sports facilities so that they can show their talent even in sports. • Hostel facilities are offered with a reasonable price, hostels are enclosed with colleges so that the students don't have to travel for the college. Each and every room has an awesome view of Bandra-Worli Sea link and the Mumbai skyline - Bandstand. • Recently build up auditorium with seating capacity of 210 students at a time. • Canteen is provided on the second floor and it offers some tasty and fresh food at reasonable prices. • Keeping in mind about the student’s health, institute has offered gym facilities with all latest equipments and a trainer to guide them. Gym timing is between 6.30 am to 8.00 pm. Admission details will be added soon.